Fonix’s carrier billing and messaging solution enables 5-day veggie challengers to discover new recipes and to receive text messages from Jamie. Fonix, the tech company for acquiring, engaging and monetising consumers through their mobile phones, has been selected by Jamie Oliver to power the billing and messaging service for Jamie Oliver’s 5-day Veggie Challenge. 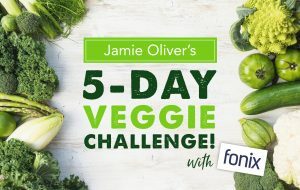 Jamie’s 5-day Veggie Challenge starts today and challengers simply sign up and pay £2, which is charged to the mobile phone bill, without needing to enter credit card details. During the challenge, an email will be sent every morning containing the day’s meat-free meals, along with extra tips and videos for a super-tasty day. Plus, through Fonix’s messaging platform, Jamie will be in touch throughout the week to share even more veggie inspiration. Jamie’s colourful meal plan guarantees at least five portions of veg and fruit each day, plus a healthy balance of all the main food groups and nutrients. Linda Davidson, Director, Digital Product, Jamie Oliver added: “We’re very proud of this challenge, we want to inspire everyone and provide them with a great experience from start to finish. Jamie Oliver’s 5-day Veggie Challenge coincides with this year’s National Vegetarian Week, 14-20 May. To sign up visit here. Ofcom today publishes research revealing which broadband and phone companies are falling short in serving their customers, and those who are setting a strong standard for satisfaction. Our comprehensive survey of telecoms customer service shows how each major provider performs on measures including customer satisfaction, complaints and call waiting times. It also shows how likely customers are to recommend their provider to a friend. A news release is available summarising the findings. Booking closes this week for our London networking drinks! The AIME Spring Social is the perfect opportunity to have a drink after work and do a spot of business networking, all in a sumptuous setting by the river. Our Spring Social evening is in the beautiful Voltaire Bar at the Crowne Plaza Hotel in Blackfriars, conveniently close to public transport links for easy access. Tickets are already selling fast and it looks to be another good event but booking MUST close this week Friday 5th May, so don’t miss out! Tickets start from just £19 + VAT and include a welcome drink and nibbles, as well as the use of our exclusive AIME only area within the Champagne Library of the Voltaire Bar to spend the evening networking. With members from across the interactive media industries attending, this will be a good opportunity to make some new contacts. We invite you to join us at Blackfriars for an evening of networking with new and old business contacts in beautiful surroundings by the river. AIME understands the importance of business networking, so look to provide these opportunities whenever possible for our members. Our networking evening is open to members and non members in a relaxed environment of mutually beneficial collaboration, to encourage business growth and working relationships within the interactive media and payments industries. 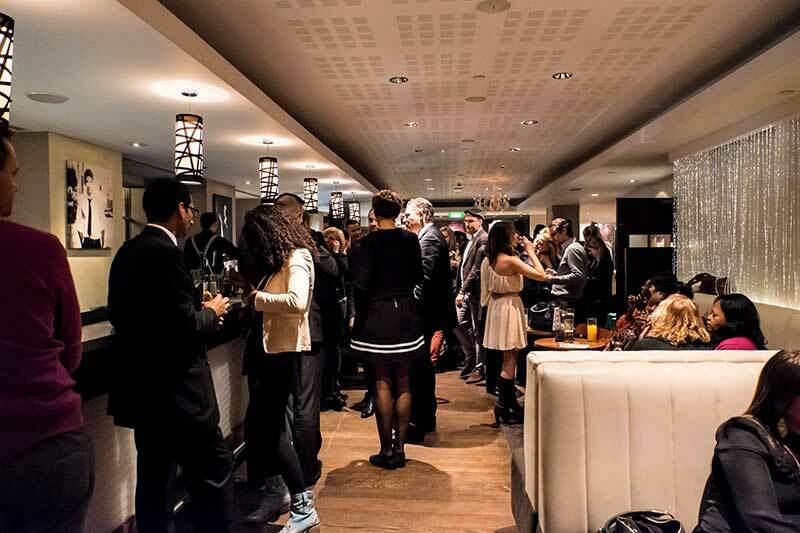 Our Spring Social evening is in the beautiful Voltaire Bar at the Crowne Plaza Hotel in Blackfriars, conveniently close to public transport links for easy access. The evening starts from 18.00 and will follow on from our AIME General Meeting in London, for those who will be attending during the day. Tickets start from just £19 + VAT and include a welcome drink and nibbles, as well as the use of our exclusive AIME only area within the Champagne Library of the Voltaire Bar. The bar is fully stocked for further drinks during the evening. 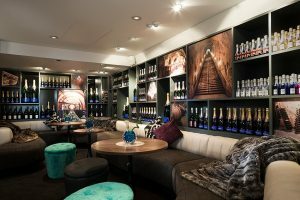 The drinks menu includes wine, beers, cocktails and champagne. BBC, Cellcast, EE, Fonix, IMImobile, ITV, Harvest Media, Oxygen8, mGage, Phone-paid Services Authority, Telemedia News and Vodafone amongst others. AIME Members can get their tickets by either requesting them directly from AIME and you will then be invoiced for these, or from our tickets page below. Non Members can get their tickets directly from our tickets page below. Booking fees apply when ordering online. This upcoming event is addressing the very important issue of interactivity within broadcast and how companies must now incorporate this into their campaigns to ensure that customer engagement levels remain high. What are the interactive trends in other territories around the world such as the US, and how will this affect the UK? What are audience attitudes and changes to behaviour towards broadcast and interactivity? How do broadcasters increase interactivity from multi-screen consumers and is this critical? How will broadcasters attract the middle aged disposable income consumers through interactivity? How are broadcasters engaging with the teen and young adult market to ensure they stay engaged with changing technology? AIME’s successful Knowledge & Networking (K&N) Seminars are focused and open forums that are popular with our attendees. The seminars examine topical key issues, emerging trends and business development within the interactive media and entertainment sectors. The 90 minute mediated presentations with our evening speakers, open discussion and Q&A session format is designed to promote engaging debate about key industry trends and issues within an intimate and relaxed environment. After the seminar, delegates and speakers move into a more informal networking setting to engage socially and continue the discussions over a drink. This proven format consistently fosters open debate and stimulates valuable business connections. There are 3 different type of tickets available for Members and Non Members. Telemedia Magazine readers, PACT members and guests of AIME members can claim their 25% discount off Non Member tickets by entering their promo code on the checkout screen. Contact us/Telemedia/PACT to get your discount code. This discount is only available for non member tickets. If you are an AIME Sponsor member, remember you are entitled to two free tickets per company for this event! Want to get more involved? Event Sponsorship opportunities are available.